Swapping urban jungles for pristine wilderness, Hoshinoya Fuji is a luxurious escape with a natural twist. Pioneering glamping in Japan, the rural retreat brings the great outdoors to your doorstep in the most luxurious way possible. Instead of canvas walls, think 40 cubist cabins with panoramic balconies. Instead of rationed dinners, think big juicy steaks cooked to perfection. It’s glamping – and then some. This innovative resort takes the beauty of nature and combines it with chic minimalism to create an utterly irresistible getaway. 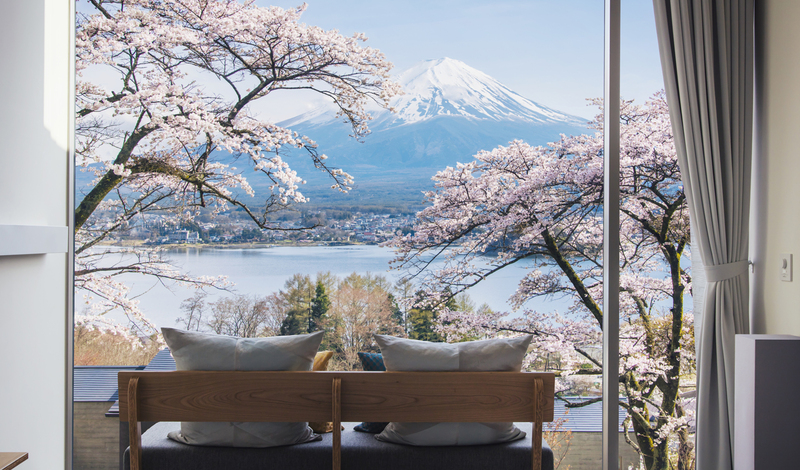 Overlooking the tranquil waters of Lake Kawaguchi and hidden away amongst red pine forests and swirling mountain mists, Hoshinoya Fuji makes for a refreshing change of pace. Three and a half hours from Tokyo by bullet train, you’ll head out of the city and into nature in an instant. 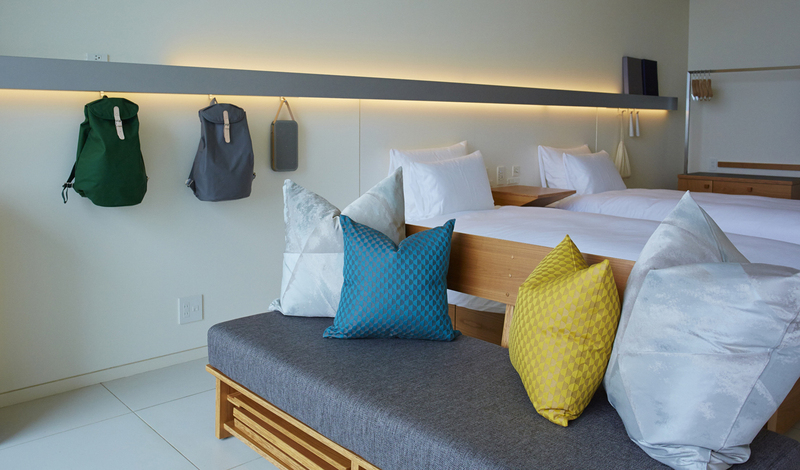 At Hoshinoya Fuji, it’s all about glamping – but without a single sleeping bag in sight. Scattered across the hillside, the 40 cabins offer a taste of the outdoors without foregoing any modern luxuries. Deliberately minimalist, the peaceful cabins are designed to let nature do the talking – and, boy, does it talk. Huge picture windows give way to panoramic views of Lake Kawaguchi and the surrounding forests whilst private balconies draw you outside to enjoy the views as you snuggle up around a fire reminiscent of traditional campsites. In a place as beautiful as this, it would be rude not to get out and explore. Walk through the Aokigahara Forest Sea of Trees or horse ride across the foothills of Mt. Fuji to experience a true sense of calm. But our favourite way to appreciate the beauty of this area? By picking up a paddle and canoeing across Lake Kawaguchi, early in the morning, as the sun rises and glints off the surface. Surrounded by pristine forests and with Mt. Fuji as your backdrop, everyday stresses will simply melt away.